Don't like mincing garlic into tiny pieces with a knife? 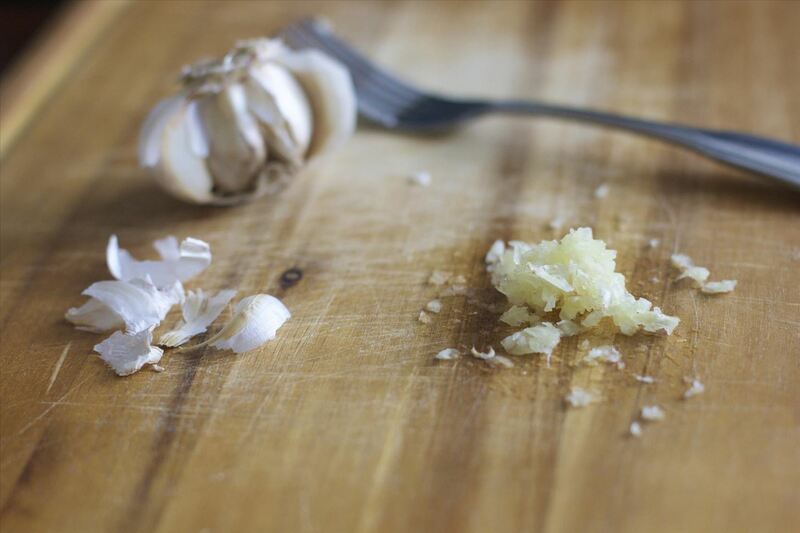 No matter how you mince garlic, it will never be as easy as this kitchen trick. You won't even need a knife—just a fork! It's a great hack for kids just learning how to cook or if you only need about one or two cloves for your recipe and feel like speeding things up a bit. Peel that clove—we recommend the twist and snap method or the microwave method for individual cloves, and this crush and shake method for a whole bulb. 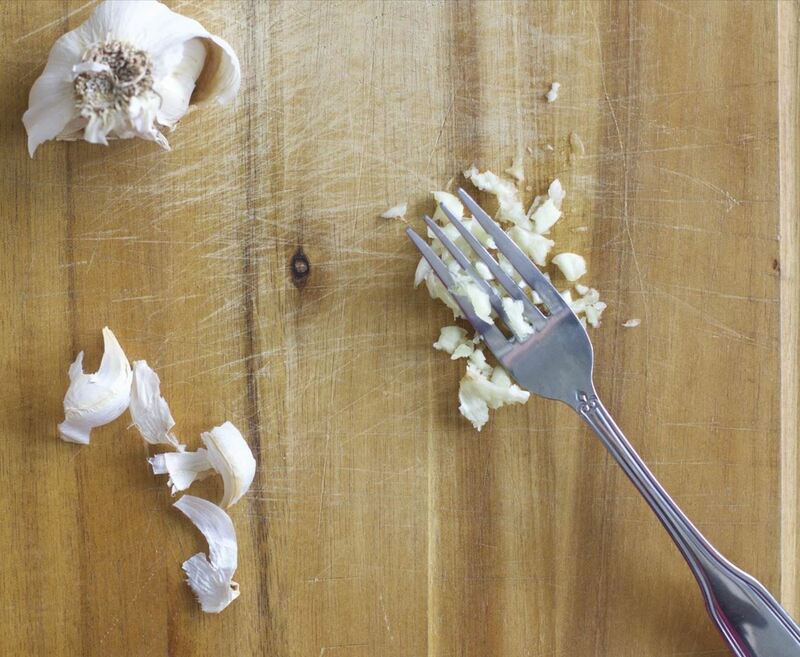 Press the clove with the tines of your fork, smashing the clove against your cutting board. Repeat until your garlic is minced to your liking! And there you have it: minced garlic. You can also keep mashing the garlic until it forms a paste, should you feel so inclined. So easy, so quick, and a great way to release any tension or aggression you've encountered during the day... not to mention a safe way for you to introduce kids to prep work in the kitchen. Happy garlic-ing! We're off to mash more cloves. 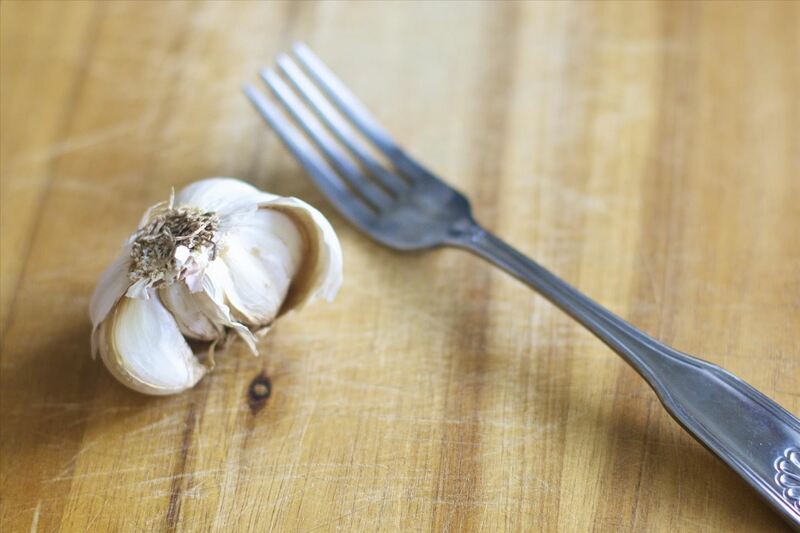 The Ultimate Cheat Sheet: Which Type of Garlic Goes Best with What?